A new online record of children born out of wedlock in the 18th and 19th centuries could provide a ‘missing link’ to people researching their family history. A list of nearly 900 illegitimate children born to women in East Sussex between 1793 and 1834 has been added to the website of The Keep, the county archive centre in Moulsecoomb, Brighton. The children were the subject of ‘bastardy bonds’, whereby an unmarried mother would go before the local magistrate, state when and where she had given birth and the name of the father, who would be pursued by parish officers for money for the child’s upkeep. The collection, which covers a dozen parishes in the east of the county, survived in a solicitor’s attic in Burwash for nearly 200 years before being transferred to the East Sussex Record Office at The Keep. The record office is one of the first in the country to make bastardy bonds available and searchable online, potentially offering a breakthrough to people researching their family history. 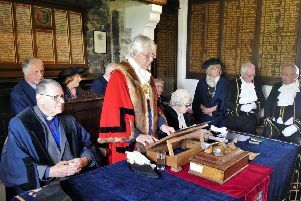 Cllr Chris Dowling, East Sussex County Council lead member for community services, said: “When a child was born to an unmarried mother, the parish register of baptisms would list only her name. Christopher Whittick, senior archivist at East Sussex Record Office, added: “Illegitimacy was so common in the early 1800s that bastardy bonds were pre-printed with spaces left for names and addresses for the magistrate to fill in. The Keep houses important collections belonging to the East Sussex Record Office, the Royal Pavilion and Museums and the University of Sussex.